Grape growers as well as winemakers are in peril by global warming as Australian researchers singled out key factors in the untimely ripening of grapes. Evidence linking global warming with earlier grape maturation is a phenomenon that can affect the quality of wine. In a team led Leanne Webb at Australia’s national science agency, the Commonwealth Scientific and Industrial Research Organization (CSIRO), looked at 10 sites in southern Australia where there were highly detailed records, stretching from 1985 to 2009, with all of these factors under consideration. Only at Margaret River on Australia’s southwestern tip was noted that grapes ripen later. Other sites maturation occurred between six to 34 days earlier. 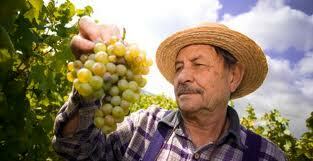 The common cause of untimely ripening was higher temperature, deemed a significant factor at seven sites. In the drought stricken southeastern part of Australia, lower soil moisture was a major factor for earlier harvests at five sites. Drier soils lead to higher levels of a stress hormone called abscisic acid in vine roots, which drives the plant’s fruit to earlier ripening. Pruning and fertilization methods that lowered crop yields noted in four sites contributed strongly to earlier maturation. In other sites there maybe some technical innovations such as improved disease and pest control, that could have been a ripening factor, says the study. With the knowledge at hand, grape growers coping over global warming have some vital alternatives, say the authors. Changing their pruning administration, they can change crop yields and grape growers can manage soil moisture by increasing irrigation or laying down mulch. Grape growers can also alter the response of the vine to lower humidity by choosing root stocks that are less sensitive to plant stress hormones, or trimming leaves, the authors suggest. Uncertainties face by other crops due to climate change can be helped through analytical approach based on the study published online in the journal Nature Climate Change. Floods and droughts brought about by the effects of El Niño and La Niña are climate change phenomena link to global warming.